We had an early morning start to flee the capital by train. 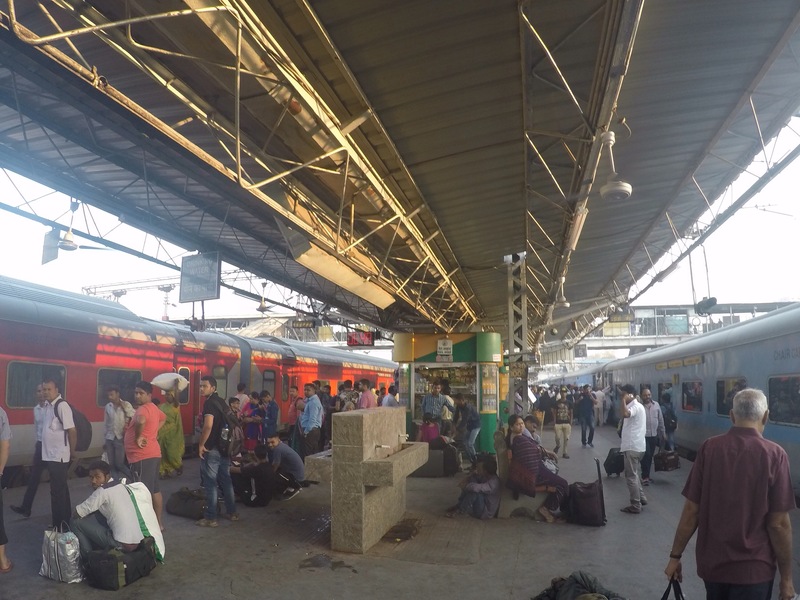 All our journeys had been in relative comfort so being dropped at the train station, albeit with a guide, was our first real experience of hustle. We passed through the security scanners not one at a time, but in a mass jumble, whilst 17 bags were flying out the other side of the bag scanner with one attendant. Who knows what they would do if there was a suspect material, the beeper sounded constantly. We then stood on the platform with hundreds of others, some lying, some vending, some smartly dressed whilst the tannoy constantly announced *bing bong* ‘your attention please, train 25087 will be at platform 5, calling at….’ At this point I wondered, beyond all of the comforts of travelling in a group, whether I was going to be able to do this alone. The train has many different classes, and we were in a/c chair class for our short three hour journey. The seats were a little grubby and old but we all got to sit where we were assigned. The next class, the chair class, and beyond that a free for all. As we made from the station we pulled immediately into slums, something we hadn’t seen so far. Houses constructed from tarpaulins, each one small room, litter strewn around spread, almost like leaves, or sorted into piles like some sort of mysterious order still belong amongst the chaos. Watching from the window seat it wasn’t 10 minutes before I saw a man taking a poo at the rail side. I commented that this had been something I had seen on day 5 in Beijing, but only day 3 in Delhi, but minutes after commenting, I saw my second and third defecating man, a one up on Beijing. There was abundant wildlife around the villages, boars and monkeys grazing from the rubbish, cows regally walking wherever they so pleased. As we pulled out into the countryside the landscape became scenes of rural life. The flat landscapes were set with women ploughing fields of wheat by hand, and bundling them up into small bundles for someone else to collect. At the stations, men walked the railway lines, or disbanding commuters flocked across the tracks out of the station. It was a life that we hadn’t seen in the city. 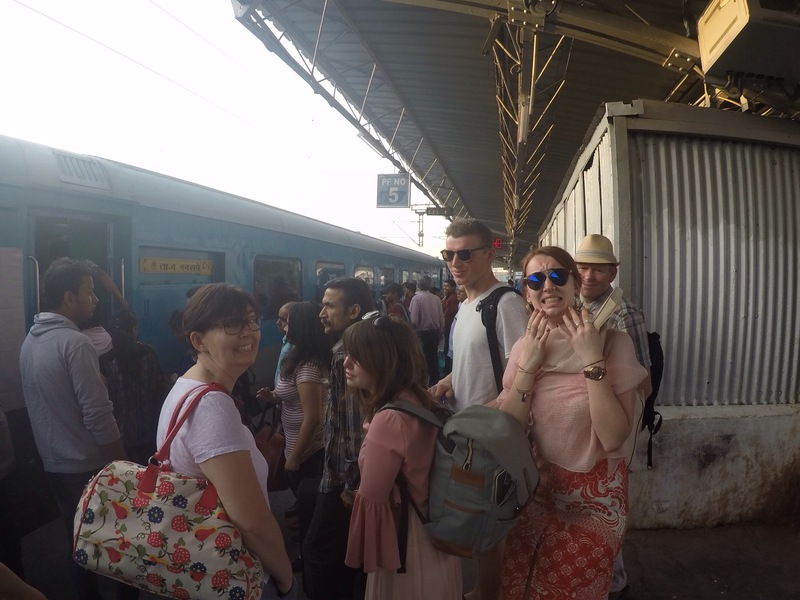 In Agra we left the train and were picked up to stop in at our hotel for breakfast. 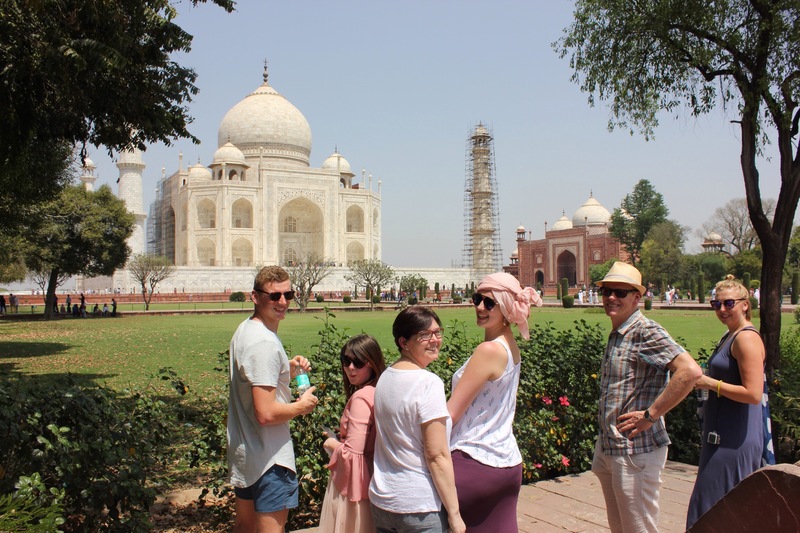 After a quick refresh we were taken to the Taj Mahal. At the dusty gates we purchased our tickets and were shuttled to the front entrance by a golf buggy. 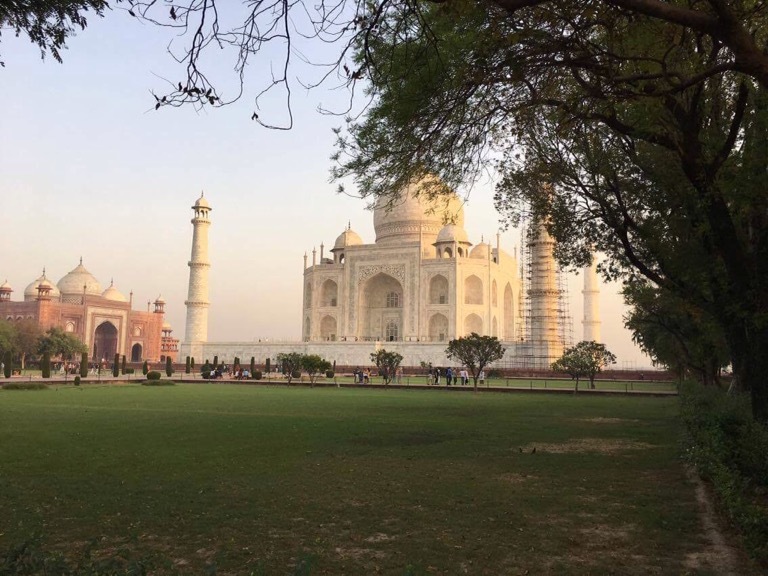 The Taj Mahal was built by the fourth emperor of the Mughal empire, Shah Jahan in 1631. 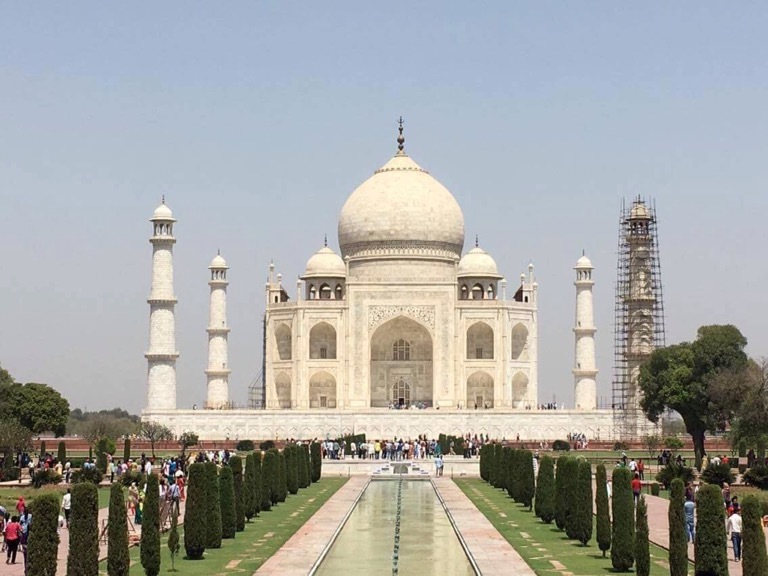 It was a mausoleum to house his dead beloved, started one year after her death and finished by 22,000 workers in 22 years. 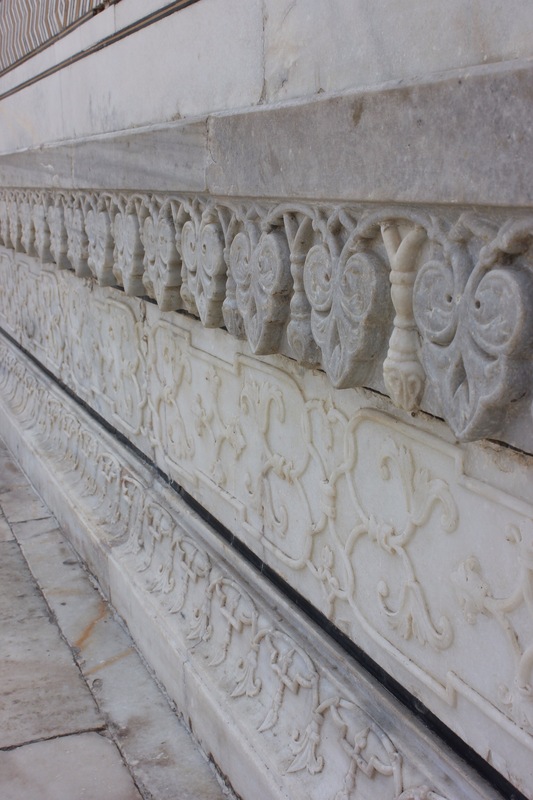 The hard marble harvested in Rajasthan carved out to be inlayed with precious stones to make the markings of Arabic writing and decoration. 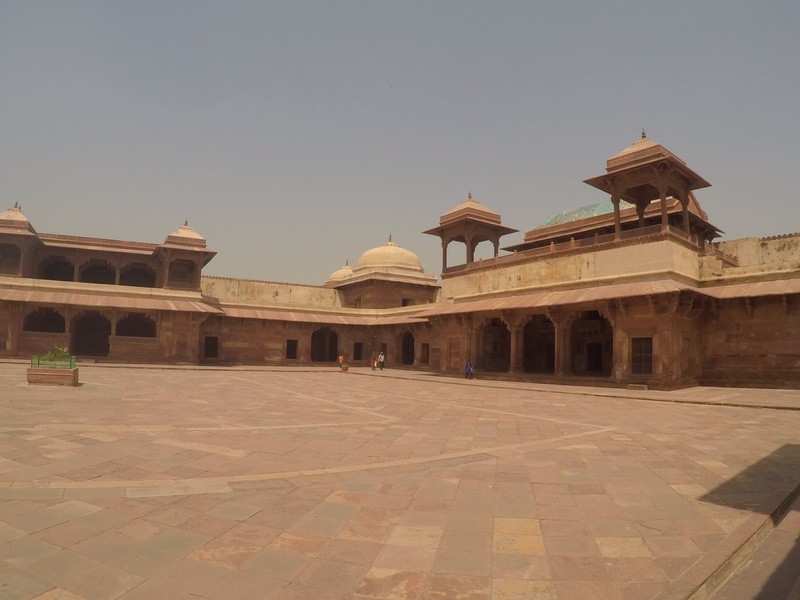 He intended to build a smaller, black taj across the river for himself for when he died, (to signify being in her shadow, aw) but his son, Aurangzeb, was convinced he was crazy and kept him under house arrest in the palace at the Agra fort for 8 years until he died, and then buried him next to his beloved in the main room in the Taj. It is symmetrical in every way, 90 metres in every direction to make a perfect cube, a gate from each compass direction. Large eagles circled overhead. We entered through the east side then the main gate for our first breathtaking gasp of the monument. It twinkled it the light, every stone glinting. 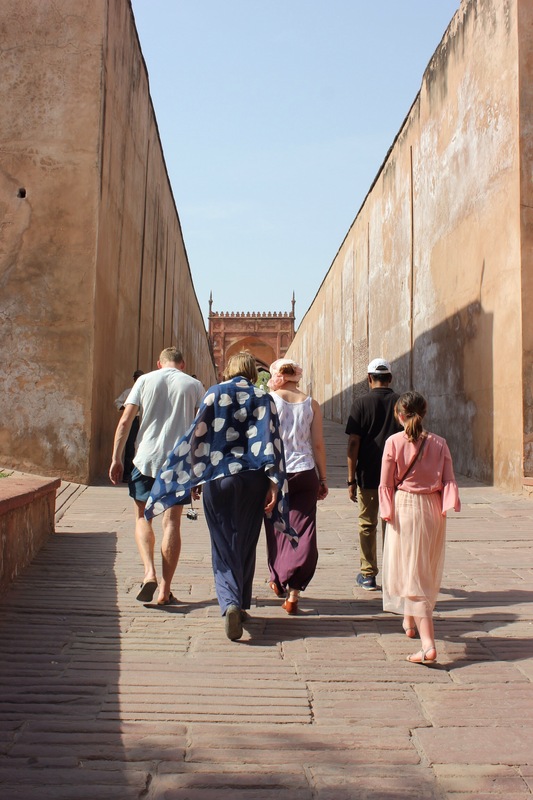 We approached from the left side until under the imposing structure, a 40 metre minaret standing on each corner, then climbed to the platform and entered the mausoleum through the front gate. People crowded in to look at the graves, Muntaz in the middle and the emperor to her right. Whistles blew insisting you move on round, whilst others shushed and bustled you along simultaneously. Jimmy two, (don’t call me Jumbo) our Agra guide called our names to hear them echo around the dome roof. In the heat of the day we went to a workshop to see the inlay work, pietra dura, being done. 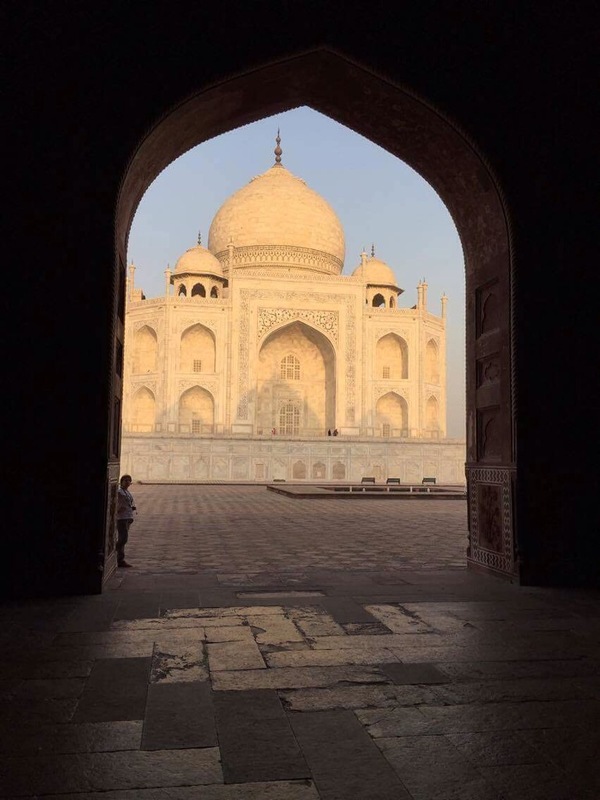 It is carried on by a few ancestral families of the Persian artists who completed the Taj, despite all of them losing their hands after completion. 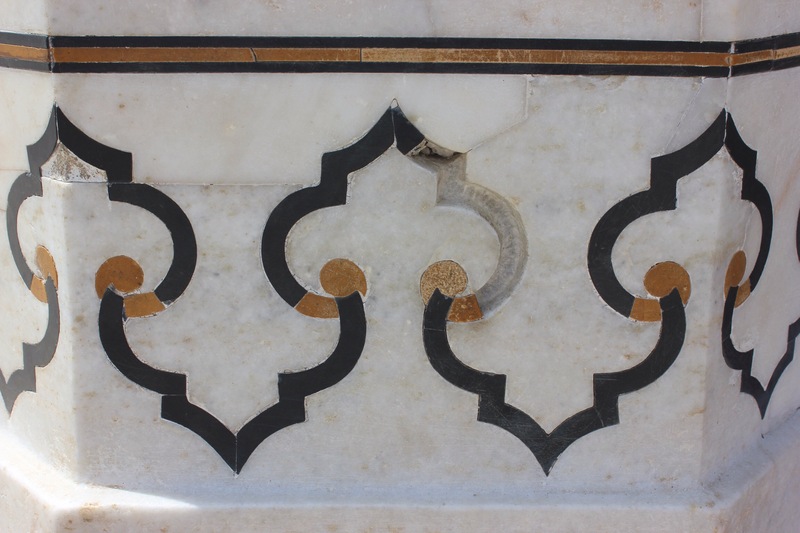 The precious stones are shaped and marked on the marble which is then carved out and glue placed in so the stones could be perfectly inset as though painted on. 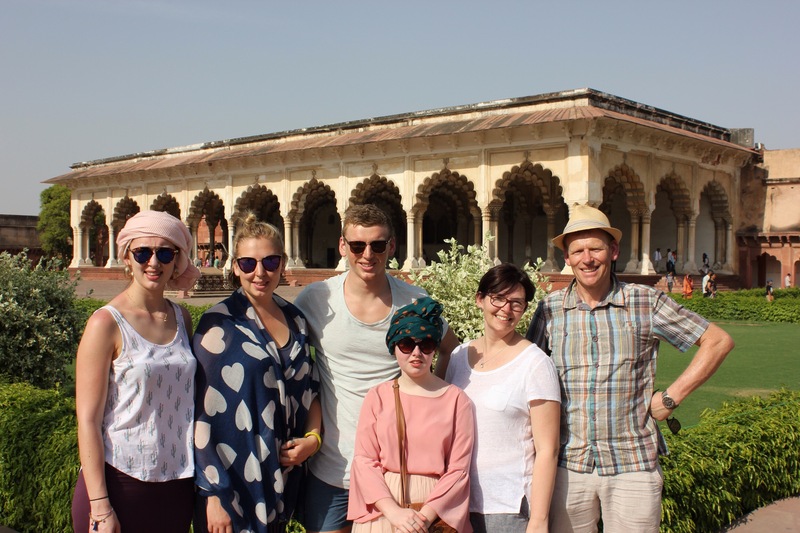 In the late afternoon we visited Agra Fort. Again in red sandstone it held the heat of the day which had reached 42 degrees. 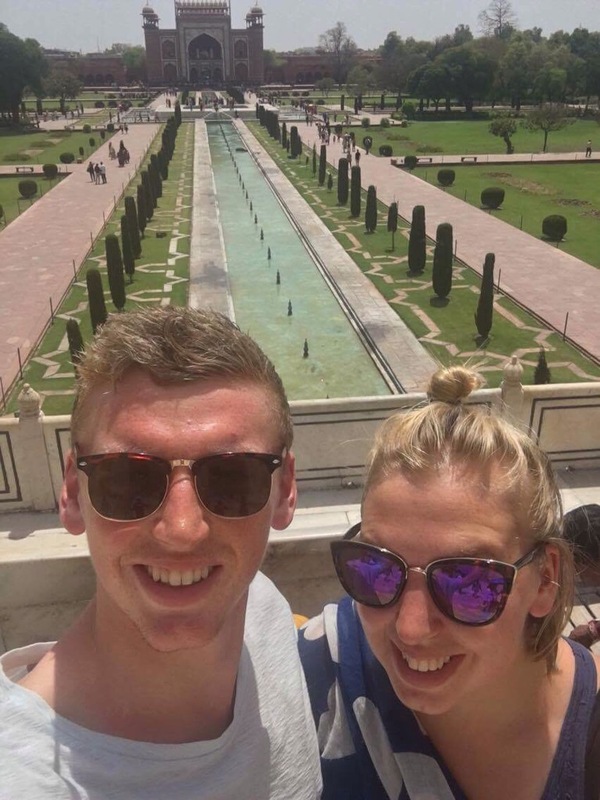 It was originally a military fort constucted by emperor Akbar, but transformed into a palace by Shah Jahan, the creator of the Taj, who was later imprisoned in the fort overlooking the taj by his son. 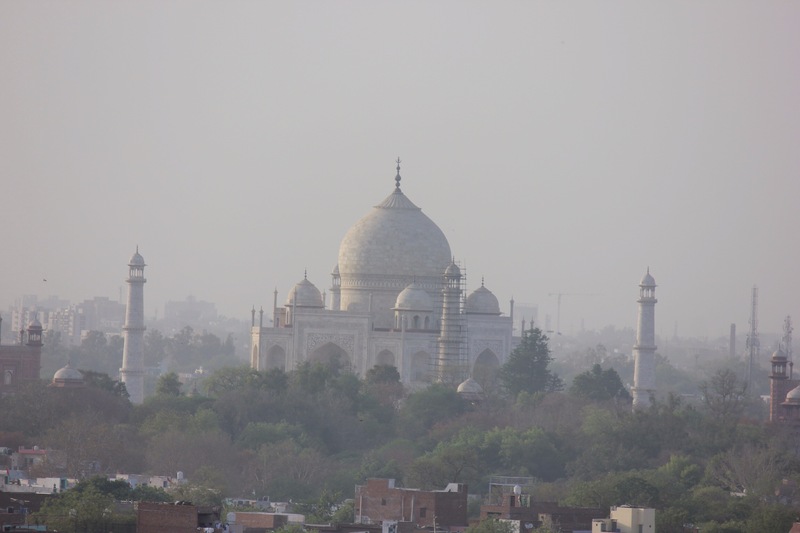 The roof of our hotel had a perfect view over the Taj Mahal and the bustling city in its wake. After a few hours entertaining the staff with games and wrestling in the pool, we headed out to find a restaurant, on foot. The dust and heat of the evening made the journey more real than through the window of a car, and no Tuk Tuk driver could understand that actually we wanted to walk. Most of us were enjoying being amongst it, getting slightly lost, being drowned out with music from wedding processions, attempting to cross the road being blasted by horns and being waved and darted at by kids on bicycles. 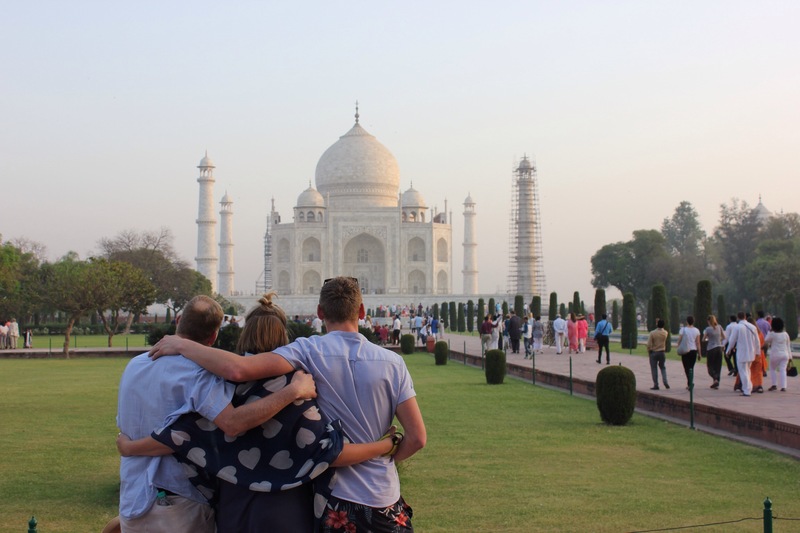 We had to strike one more visit from the bucket list and were up at 5am to see the Taj Mahal at sunrise. We got a Tuk Tuk to the entrance gate to wait inline for the booth to open. Ticket in hand we haggled for a rickshaw to take us to the gate, which David offered to cycle as our guy looked like he was struggling. We then joined the hubbub of queueing tourists, ladies on the left, men on the right, arguably more crazy than the day before where the heat of the day had warded away visitors. 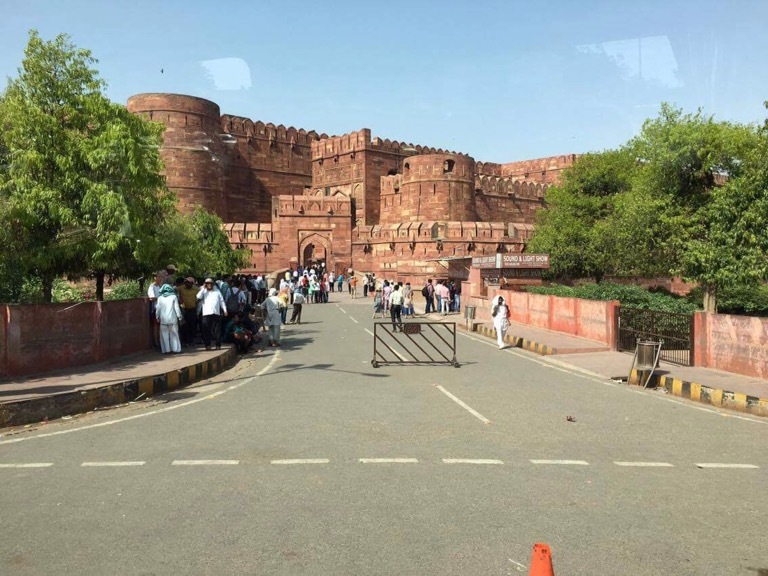 Once the gates opened, the ladies line was through almost 15 minutes before the boys, largely helped by the apparent belief in India that women do not pose a security risk as carrying bombs would be unladylike. 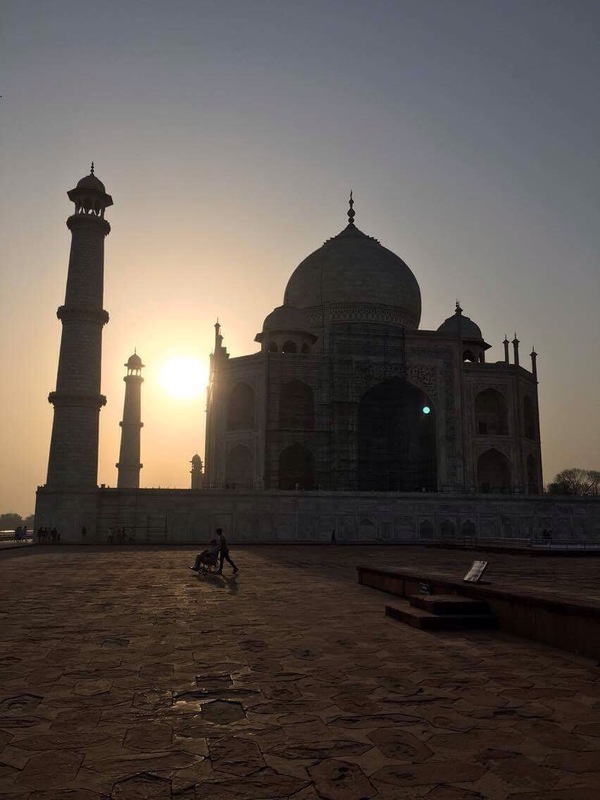 The Taj glinted in the rising sun and we snapped several hundred almost identical photos. We got a Tuk Tuk back to the hotel, keen for our breakfast. Our driver appeared proud to have us and was telling all his passers by he was off to the Sheraton. As we left Agra, our driver Kilesh bought us some Indian sweets, green sugar paper filled with sweetened pumpkin. 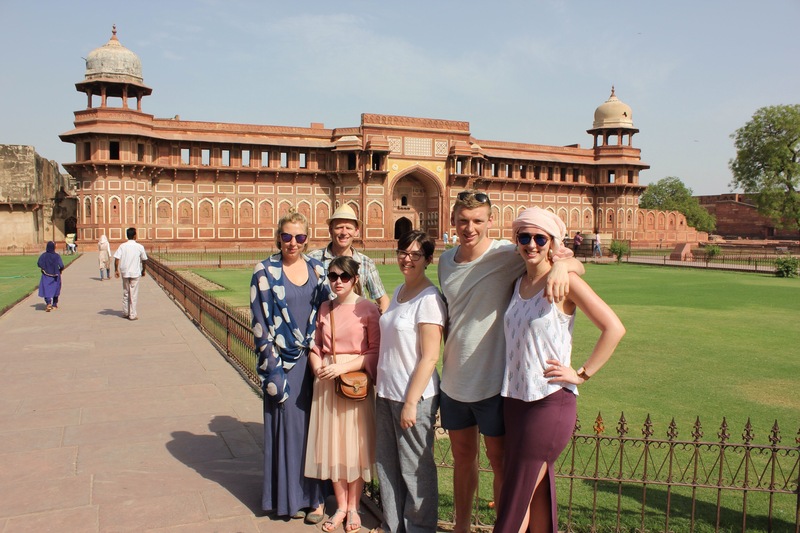 We left Agra for Fatehpur sikri where our smiley guide Pankaj met us to take us to the monument on the hill. 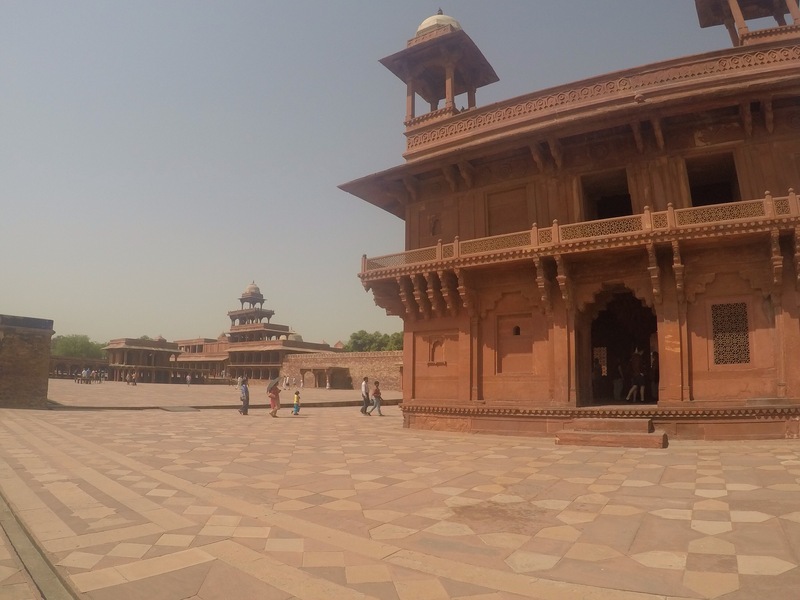 Emperor Akbar consulted a saint here when he was struggling to produce an heir. 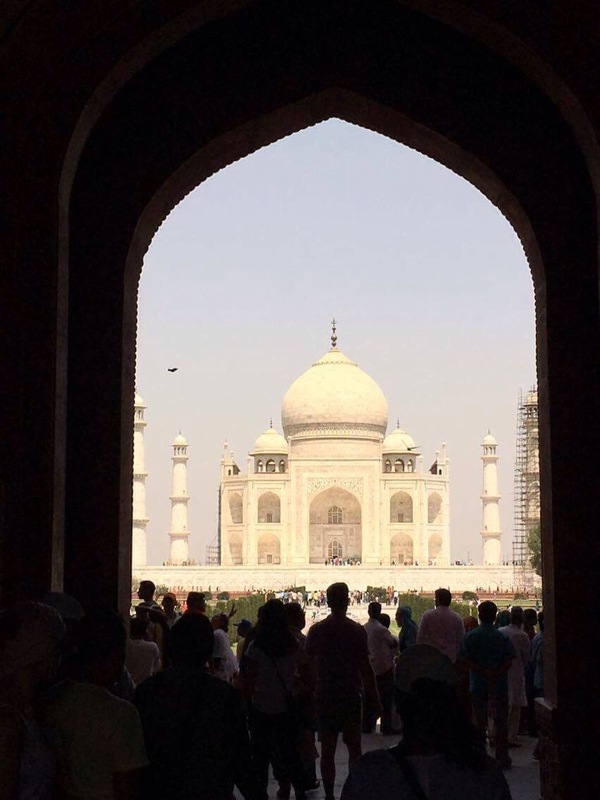 When his prophecy of a son, (Shah Jahan who went on to build the Taj) came true he built his capital here in 1571. 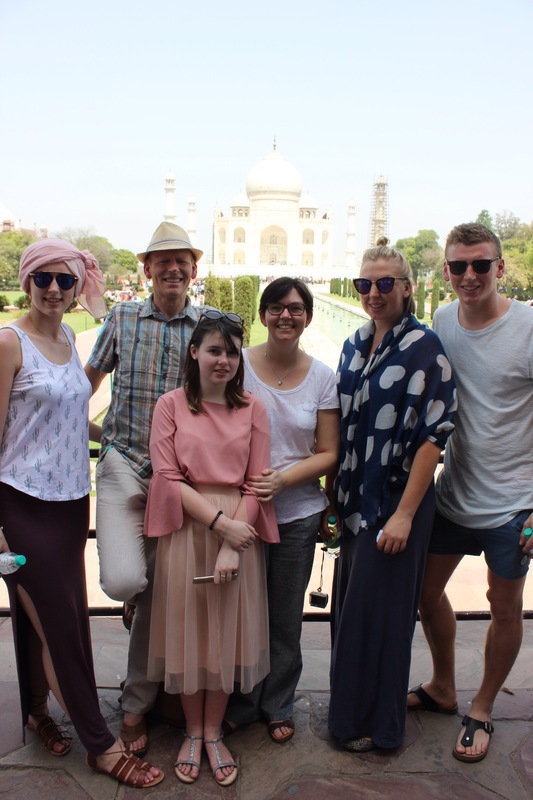 Pankaj brought the place to life showing us where the emperors favourite elephant would stand to decide the fate of criminals, where the King would have his private meetings with a view over the town and where his three wives would be entertained and dressed. Finally we climbed to the mosque where people come to to have their dreams fulfilled, the sacred site. We took off our shoes to enter the circular building, spread rose petals on the coloured cloth and tie string to the latticed wall where we could tie up to three knots for up to three wishes to be granted. Back in the car we headed for Ranthambhore, leaving the land of the Mughal empire behind and entering Rajasthan to find some wilderness. I love the pictures. I was there a month back and wished to see it early in the morning, looks like I was still late cause a lot of people were already there!